I can’t believe that I have lived in Paris for 35 years and never been to one of its best museums. Musée Carnavalet in the Marais had always been described as a museum of French history which seemed very dry to me but someone posted a photo on FaceBook recently which made me think that it was perhaps worth going to. Jean Michel had a day off on Tuesday and the weather still wasn’t condusive to going to Parc des Sceaux to see the Japanese cherry blossoms so I suggested Carnavalet instead. He didn’t seem convinced, so I dug out the trusty Routard : “One of Paris’ finest museums not only because of its setting, its proportions and intimate character, but also its excellent permanent collections. 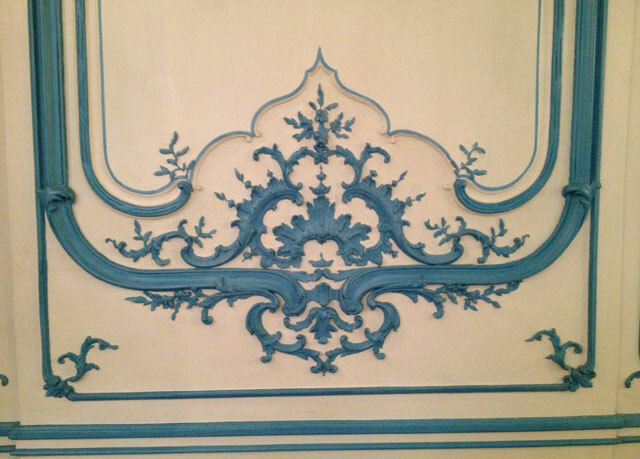 The French Capital is brought to life in paintings, sculpture, furniture, everyday and decorative objects. Carnavalet is often considered to be a secondary museum that you only visit if you have a bit of time left over after doing the Louvre and Orsay – a most unfortunate opinion. Nothing could be more passionate and amusing than discovering the many faces of Paris in the Middle Ages, the Revolution, the Reign of Terror, the romantic era or the sixties. I was surprised the skirts were so short – they’re cyclists! Well, that convinced him and we set off on metro line 1 to Saint Paul and walked through Hôtel de Sully with its flowering lilacs and onto. 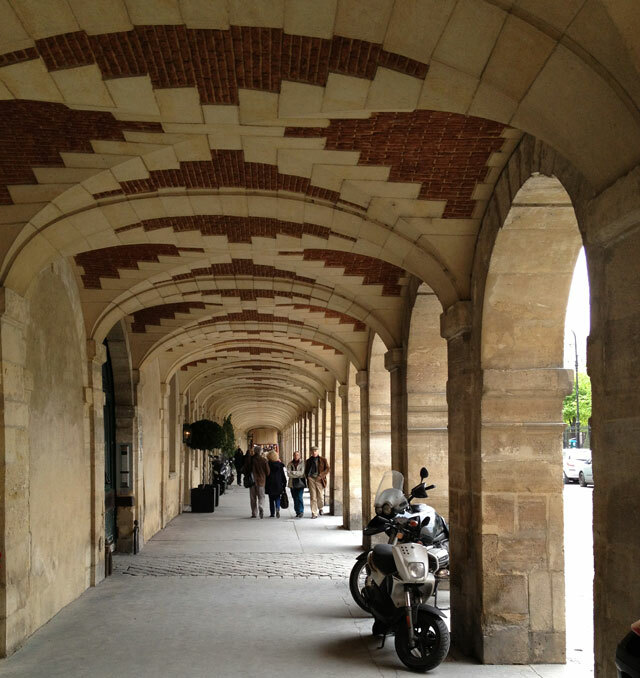 Place des Vosges. I’d forgotten how attractive it is, with its brick and stone vaulted arcades, terrace cafés and leafy garden surrounded by early 17th century apartment buildings with uniform façades, somewhat similar to Palais Royal which, however, has the added advantages of not having any cars. There was no queue when we got to the Museum, mainly because it’s free like all the other museums owned by the city of Paris. The building itself is very large and consists of the original town house built in the mid 16th century and purchased by the city of Paris in 1880 and Hôtel Le Peletier Saint-Fargeau connected by a gallery on one side. The first room was totally unexpected and I knew immediately that I was going to enjoy the visit. It was full of wrought iron shop signs and lead light windows. In the following room, the façade of an old apothecary’s had been reconstructed. 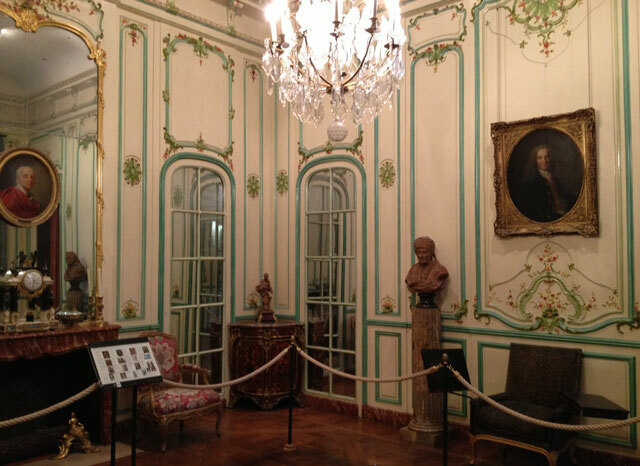 The late 18th century reception room in the next section comes from Hôtel d’Uzès in rue Montmartre and is quite magnificent. Its beautiful wood panelling is an original example of the neoclassical style. Many more reconstructed interiors followed, with painted and sculpted wood panelling and matching furniture, all in beautiful condition. A fellow visitor, who seemed to know the museum intimately, told us it was the best collection of furniture outside the Louvre. We didn’t see the whole museum, which is very extensive. 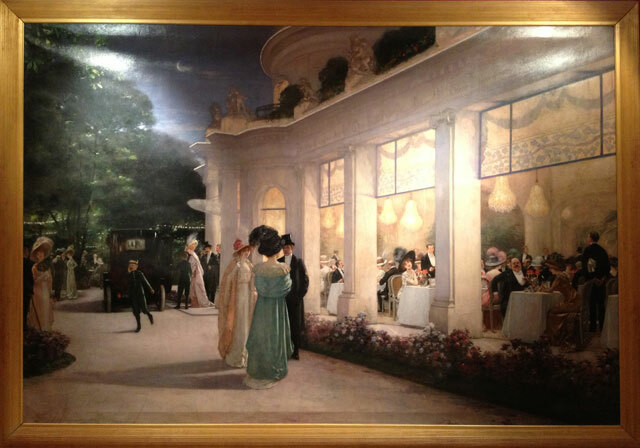 I particularly liked the gallery connecting the two hôtels which houses the Seligmann donation depicting French society during the Belle Epoque at the turn of the 20th century. 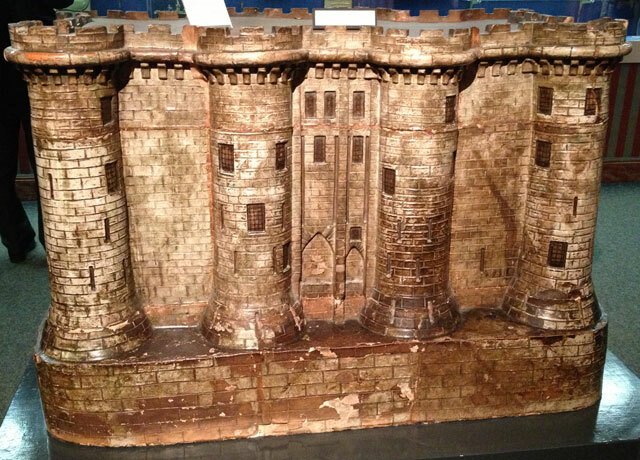 There is practically an entire floor given over to the French revolution and I saw a painting and mock-up of the Bastille prison for the first time – not to mention a ceramic wood-stove in the shape of the huge fortress-like prison. We didn’t see Paris in the 16th century or Marcel Proust’s bedroom or the Second Empire collection which was closed for renovation. There is also an archeological section including neolithic dugout canoes that are about 4,000 years old so there will be plenty to see for future visits. 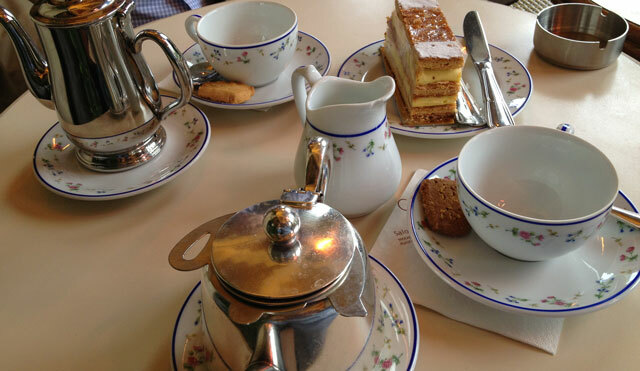 After leaving the museum we went back to Place des Vosges and had a wonderful afternoon tea at Carette’s served in Limoges porcelain with exquisite cakes and very friendly service. I saw they serve breakfast and lunch as well so we might be going back there as well! Musée Carnavalet, 23 rue de Sevigné, 75003 Paris. Open Tuesday to Sunday, 10 am to 6 pm except public holidays, Easter Sunday and Whitsunday. Free of charge. Carette, 25 Place des Vosges, 75003 Paris. 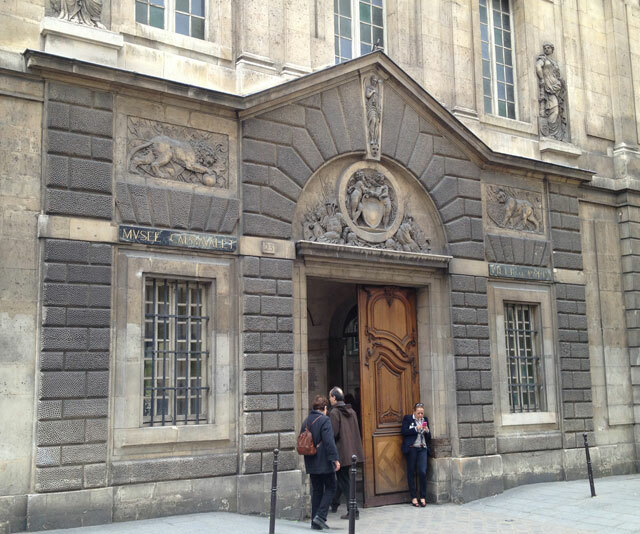 This entry was posted in Architecture, Art, History, Paris, Sightseeing and tagged carrette, musée carnavalet, place des vosges. Bookmark the permalink. 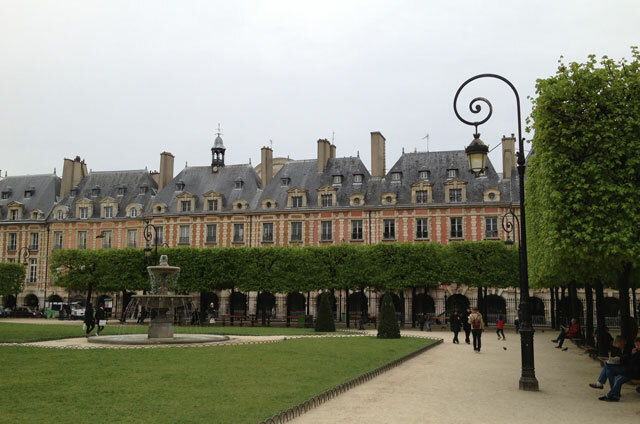 Place des Vosges I love though. Oh really? I loved all the detail. 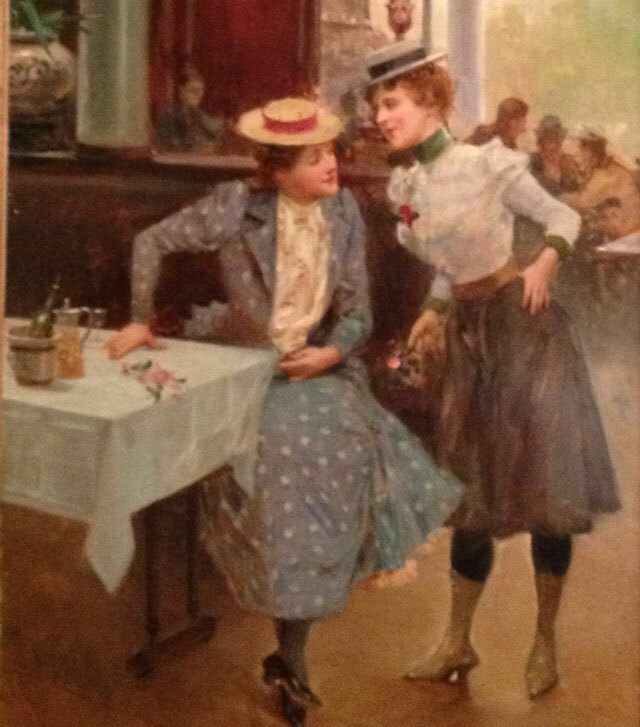 But you really must go to the Orsay sometime. You can even buy tickets on-line now, which helps. The queues are always so long. I have to confess I haven’t been back since the renovations so we’ll no doubt go there in May or early June. You’ll need to come for a month! Beautiful pictures. 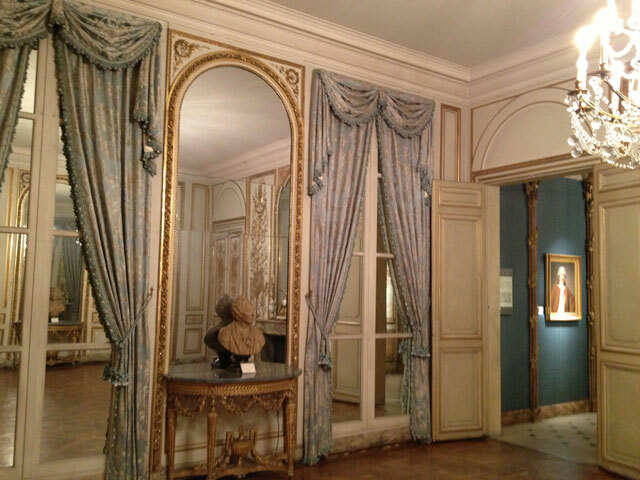 When we were at the Carnavalet (which we loved) last June many of the rooms were closed because of refurbishment. Looks as though they’ve now re-opened quite a lot more. 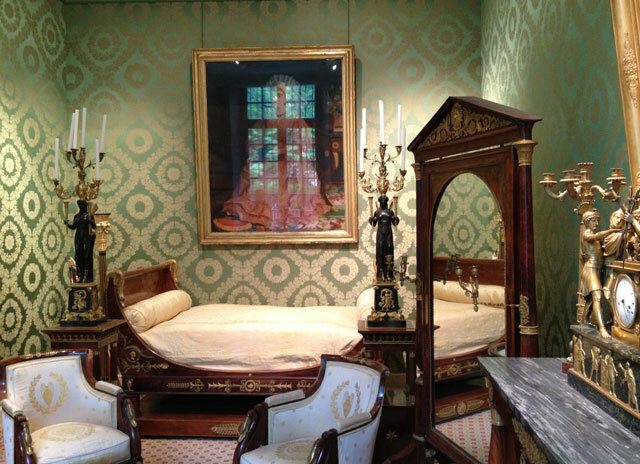 Would love to see Proust’s room. I can just imagine the scene! We’re packing too today. Have a good flight and see you soon. 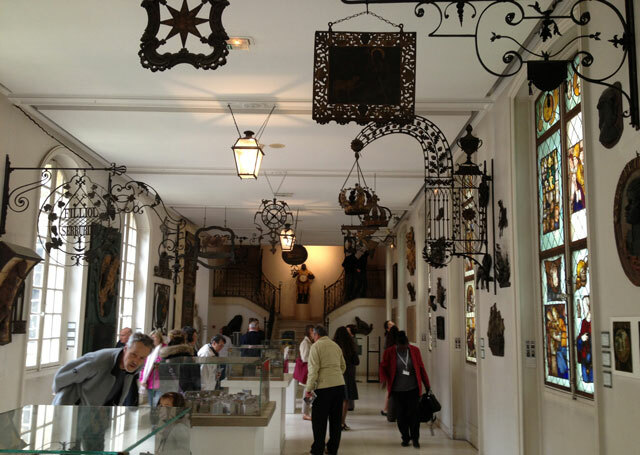 Thank you Rosemary, for your description and photos of Musée Carnavalet and Carette’s. These two places will definately be on my ‘wish list’ when we visit Paris next month. I’ve been fortunate to visit Musée de Louvre a number of times in the past and Musée Dosay, so I’m keen to visit the Carnavelet too. You might like to go back to the Orsay Museum while you’re here because it’s been completely refurbished inside. I haven’t been yet.